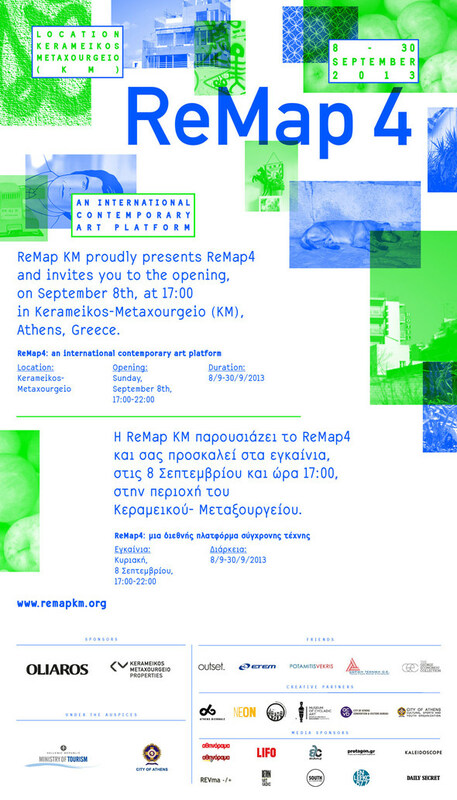 The Breeder is pleased to present a solo exhibition by Blind Adam, as part of the fourth edition of Remap KM. 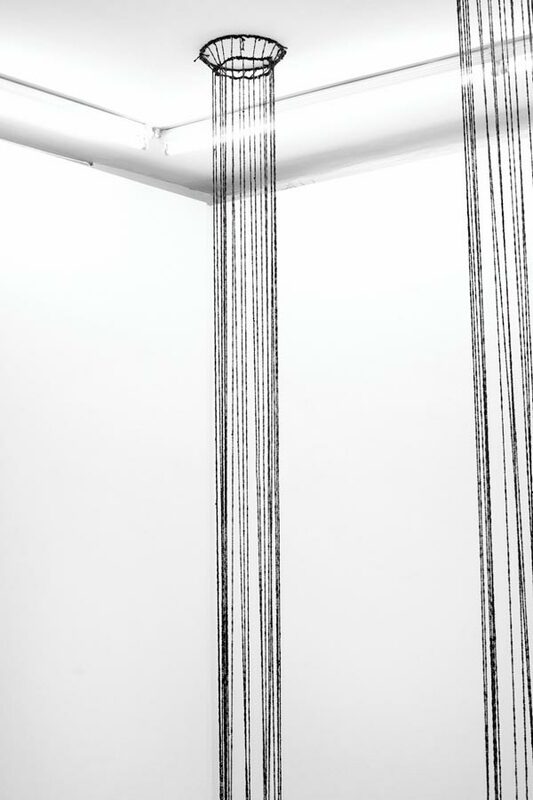 Using black wool yarn Blind Adam creates a hand knotted universe of thread. 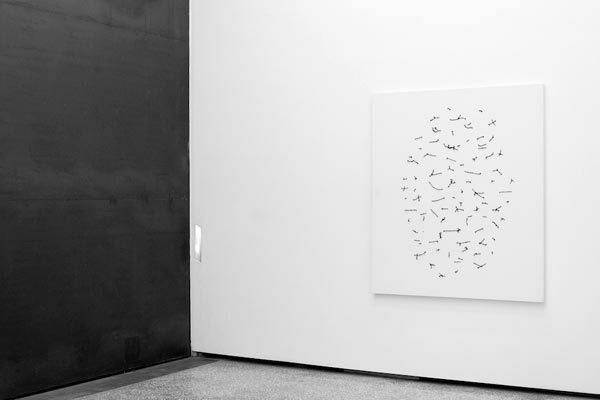 A method that begun mechanically in 2007, has now evolved into a coherent art practice, which incorporates wall based works, sculptures and installations. Blind Adam has retinitis pigmentosa, a genetic condition that constricts the visual field resulting in visual impairment. 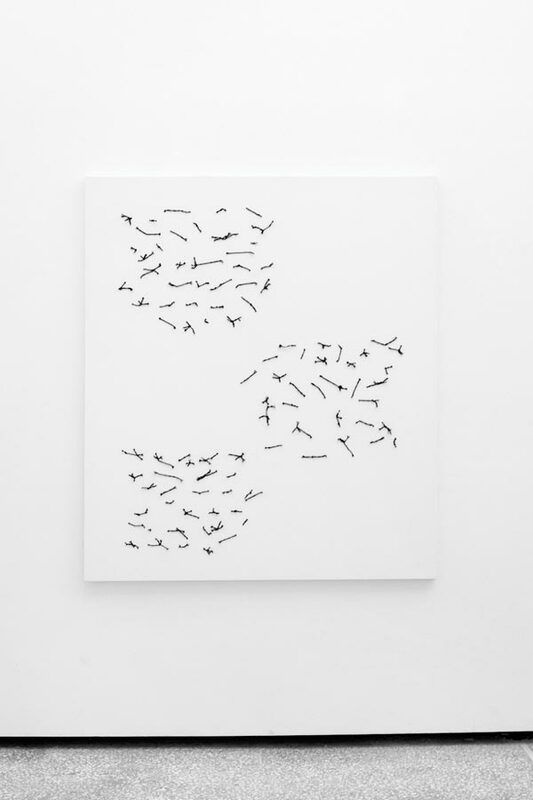 His canvas works, presented on the gallery’s ground floor resemble the Braille system. 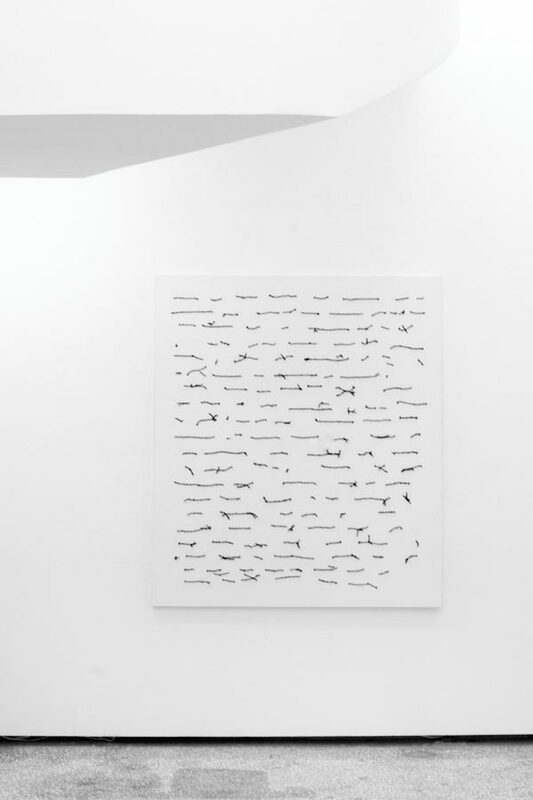 They track the process of articulating a personal language, the crystallization of thought, like a primitive manuscript, each black knot represents a letter or a word in an abstract flow of sentences upon the white background. “Melting Safety” a monumental sculpture is hanging in the center of the space. 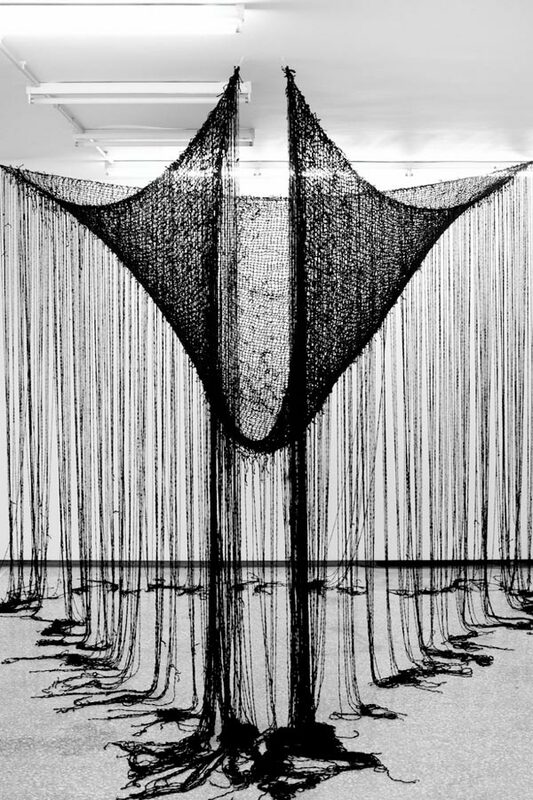 Part safety net, part floating demon the long threads of knotted yarn that constitute the work come together in an imposing black mass. 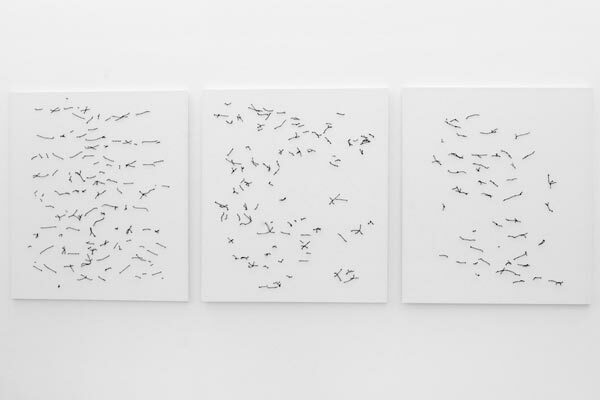 Each knot is at an equal distance from the other, that is dictated by the size of the artist’s hands when they tie them. A symmetry that offers rhythm and sequence to the structure. 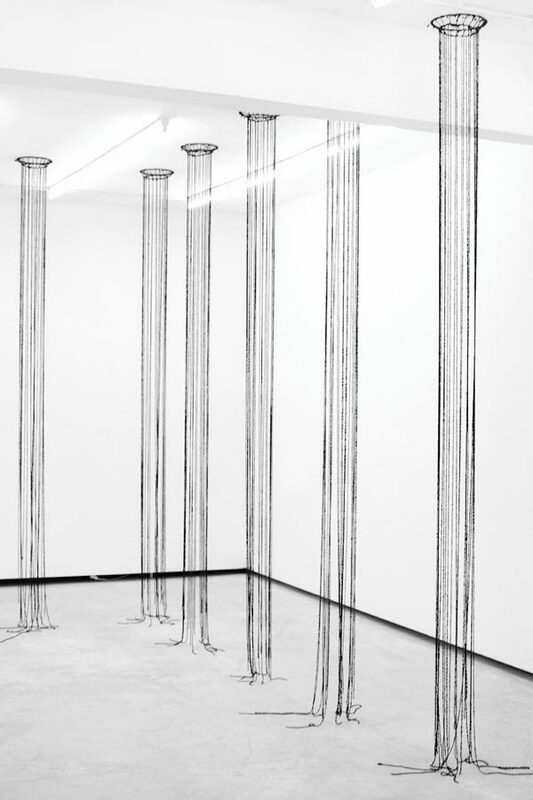 The gallery’s basement floor is transformed into an ancient temple consisting of twenty-four Doric columns. 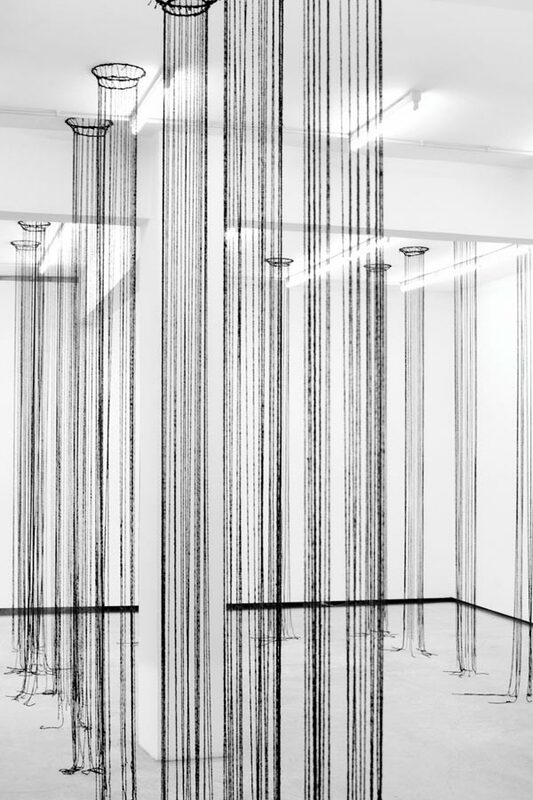 Each one of them an ethereal elegant structure of black yarn, like monuments of transcendental meditation or rather the ghostly exoskeletons of columns, they highlight the absence of volume. 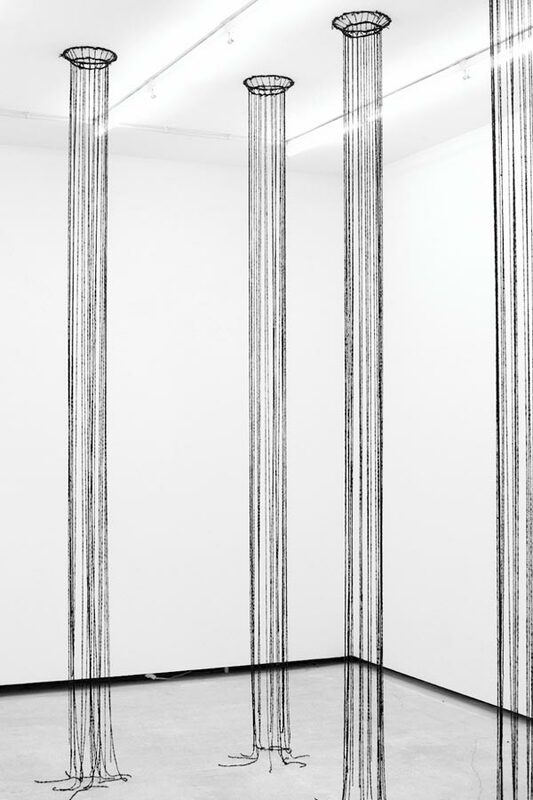 They are the impressions of columns, drawn from the artist’s memory. 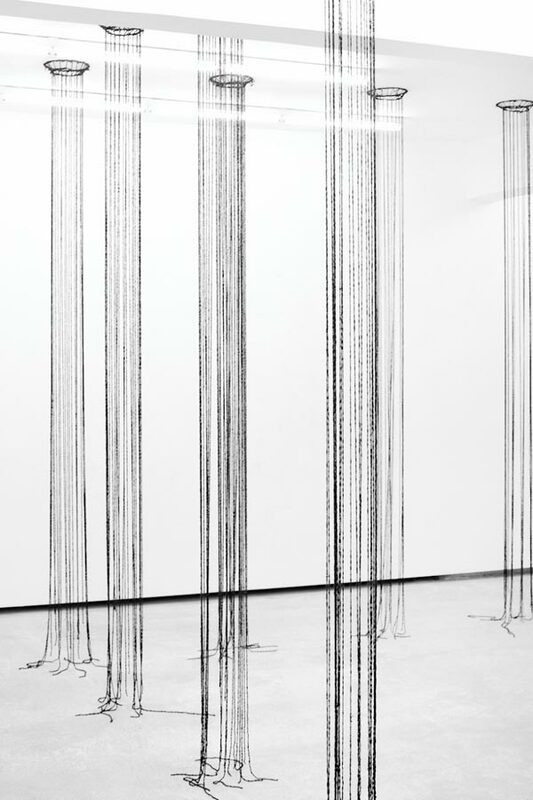 Against the gallery’s white walls, the sculptures resemble drawings with black pen on paper that have come to life to claim a three-dimensional existence. Blind Adam (1971, Athens) is based in Athens, Greece. 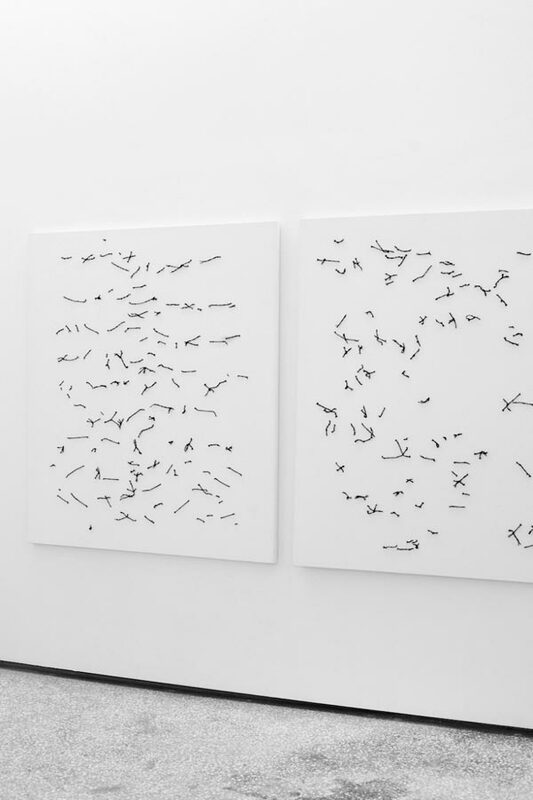 Blind Adam has presented his work in solo exhibitions at Kunsthalle Athena (2013), Athens and at Suzy Tros Project Space, Athens (2012). 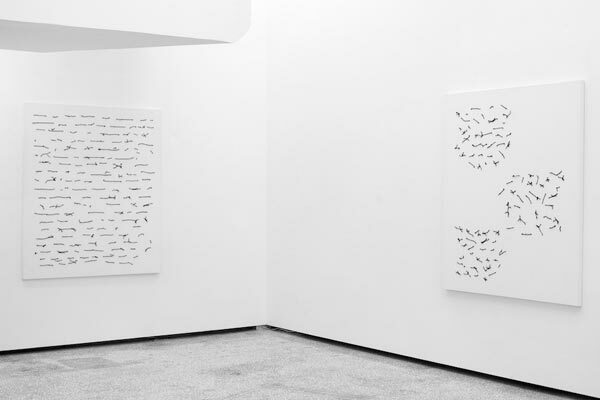 Group exhibitions include “Hell As Pavillion” curated by Nadia Argyropoulou at Palais de Tokyo in Paris (2013), The Art of This Century at the Alex Mylona Museum in Athens (2011), at ASVOFF (A Shaded View On Fashion Film) festival, Centre Pompidou, Paris, (2011), at Chagallesque, Hydra School Projects in Hydra (2010).